@sullybaseball What can be done to get rid of the ridiculous blackout policy & why is there no media pressure on @mlb to change it? 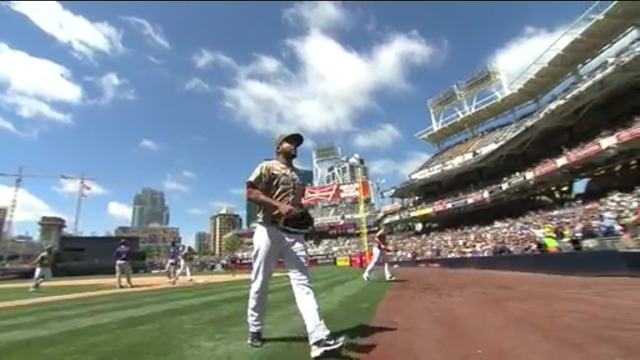 A potential no hitter in San Diego today showed why blacking out local games makes no sense. Corey Kluber, Cole Hamels, Adam Jones, Paul Goldschmidt, Garrett Richards, Brett Anderson, Miguel Cabrera and Dee Gordon all added to their totals for Who Owns Baseball? Posted on July 20, 2014, in 'SullyMetrics', MLB Podcast Network and tagged @sully baseball on twitter, Blackout restrictions, mlb, near no hitter, Odrisamer Despaigne, Paul Francis Sullivan, san diego padres, Sully baseball daily podcast, tony gwynn. Bookmark the permalink. Leave a comment.